It all comes down to atmosphere: a scary movie can succeed or fail based on how well it conveys a sense of place. In time for Halloween, we’ve rounded up 10 architectural typologies – archi-types, if you will – that pop up repeatedly in spine-tingling films, and consider what they reveal about the things we fear most. The original setting for onscreen chills, the spooky house dates all the way back to 1913’s comedic short The Haunted House. But the genre really found its footing the following year with Cecil B. DeMille’s The Ghost Breaker – considered by many to be the first true “haunted house” movie. 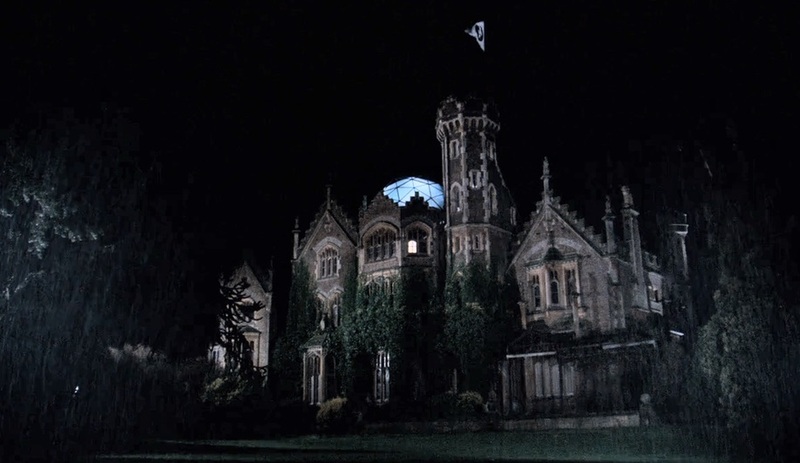 Since then, scores of films have recreated eerie mansions: The Haunting and The Innocents in the 1960s, Rocky Horror (above, top image) and The Legend of Hell House in the 70s, Clue (top of page) and The Changeling in the 80s, and The Addams Family and Edward Scissorhands in the 90s are just a few of the best known. 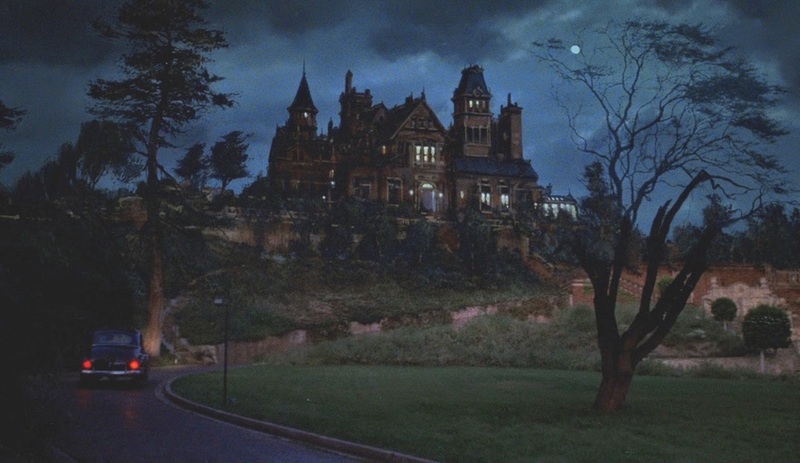 But the roots of the “Old Mansion on the Hill” are far older even than film. Gothic novels such as The Castle of Ostranto (1764), Mysteries of Udolpho (1794) and even Frankenstein (1818) tell tales of sprawling, decrepit estates where intrigue lurks around every corner. Here lies the archetype’s appeal: being both old and large, these mansions hide many secrets, and secrets are ideal fodder for Gothic horror. 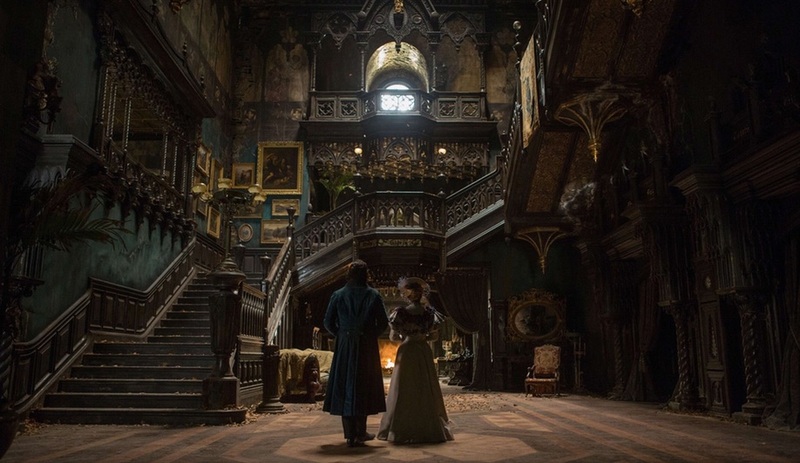 Crimson Peak (above, lower image), now in theatres, is no exception: although the house was created on a sound stage in Toronto, the Allerdale Hall set convincingly recreates the atmosphere of an ancient manse dripping with centuries of dread. Its wood-paneled walls, salon-style portrait galleries and ostentatiously Baroque ornamentation makes it seem like a relic of a bygone era, even by turn-of-the-century standards (and that’s not to mention to obligatory turrets). Clinical, rational, emotionless: these are some of the characteristics evoked by minimalist modern architecture. They’re also the characteristics of our favourite psychopathic villains. No wonder, then, that so many cold-blooded killers set up shop in spotless, futuristic bungalows. The breathtaking setting of Ex Machina – a 2015 update of the tale of Bluebeard – is actually the Hotel Juvet, a gem of kaleidoscopic glass and blackened timber that seems to merge into the rock around it, with seven rooms facing unspoiled Norwegian wilderness. 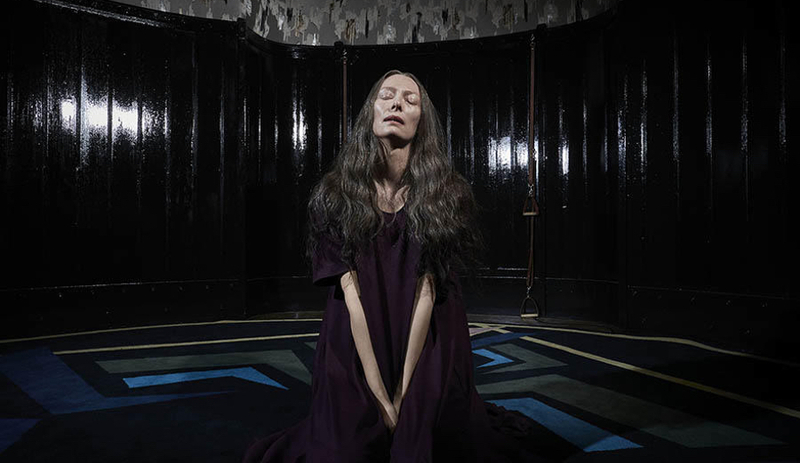 Ex Machina’s tech billionaire antagonist is just one example of the modernism-loving deceiver, but there are many others – in fact, here are another 10 modernist houses in scary movies. Sometimes, tales of dread are a study in contrasts. 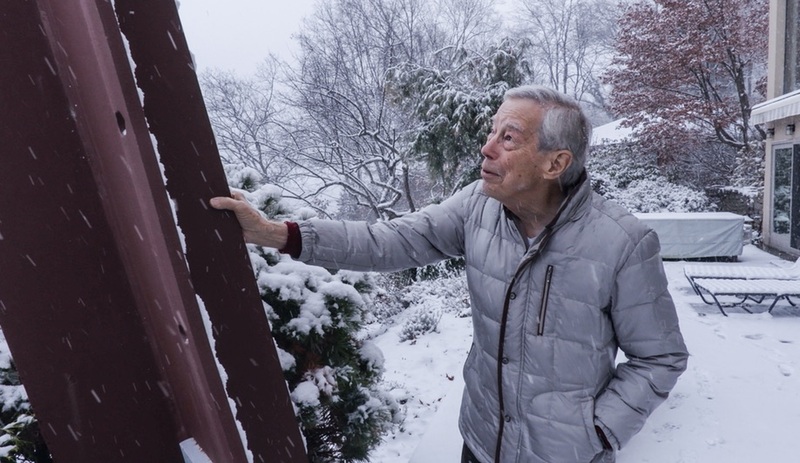 Imagine the perfect idyll: a country home, a lake house, a bungalow in a bucolic meadow. At first, everything seems perfect – just thinking about these beautiful settings creates a sense of calm. So it’s all the more terrifying when that peace is shattered by malevolent forces like the gleefully sadistic marauders who torment the inhabitants of the quaint Long Island cottages in Michael Haneke’s Funny Games (above, top image). There’s an element of isolation at play as well: surely the strained relationship between the suspicious mother and disturbed twins in Austrian thriller Goodnight Mommy (above, lower image), now in theatres, wouldn’t have grown quite so out of hand under the watchful eyes of neighbours. Although the scenery around the family’s striking contemporary home is beautiful, it’s unsettling to realize that nobody will hear you scream…. Danger of a different kind lurks in those places on the very fringes of habitability – the untamed wilds where survival is a daily struggle. What architecture can be cobbled together here is purely functional; riveted steel and exposed pipes are not elegant, because their only job is keeping the elements at bay. 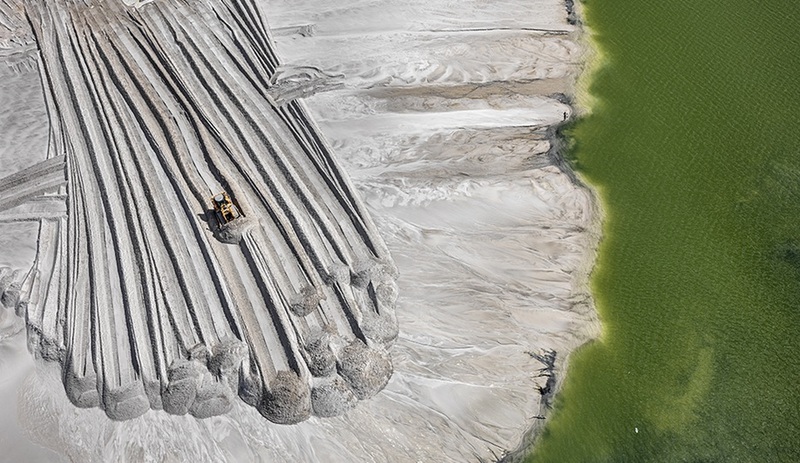 But the hostile territories at the ends of the earth are also a frontier of exploration, luring scientists in search of strange discoveries or untapped resources. In John Carpenter’s The Thing (above, top image), such research brings a team to the Antarctic plateau, a windswept, desolate terrain where nothing can survive outside their cluster of hoar-frosted corrugated metal shacks – nothing from earth, at least. And in James Cameron’s The Abyss, a submarine-like experimental drilling platform stationed on the ocean floor is designed to resist the pitch black and crushing pressure 518 metres below the surface, and it succeeds…at first. We’ve talked about the horrors of urban densification before, in a list of 10 towers in scary movies that tap into our fears of urban living, from social issues including crime and poverty to existential ones like corporate imperialism and the struggle to find an identity in an alienating sea of faces. But the high-rise can also serve as a microcosm for society, making it an ideal setting for biting commentary. 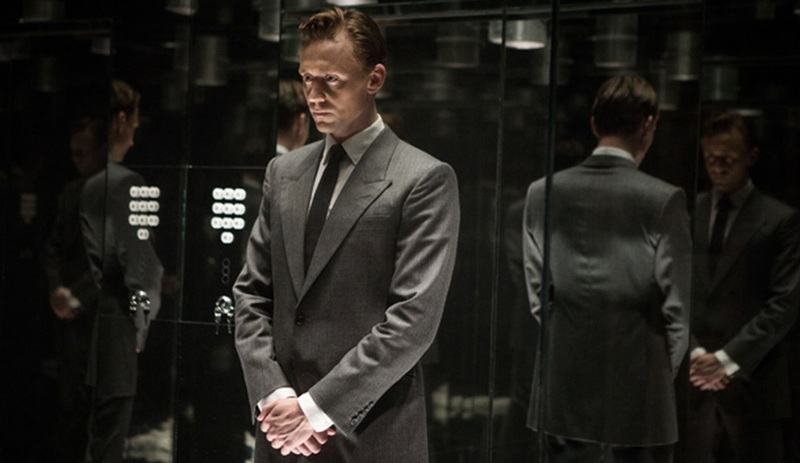 Ben Wheatley’s High-Rise, set for a 2016 release, adapts J. G. Ballard’s eponymous novel – a dystopian thriller set in a modern luxury condo tower. The residence (actually an art deco-infused set built in Bangor, Northern Ireland) offers every amenity imaginable, but tensions mount when things start to break down. Soon friction between the tenants – quite literally stratified into upper, middle and lower classes – escalates into full-blown warfare.